Join us on Saturday, February 2nd for #takeyourchildtothelibraryday! 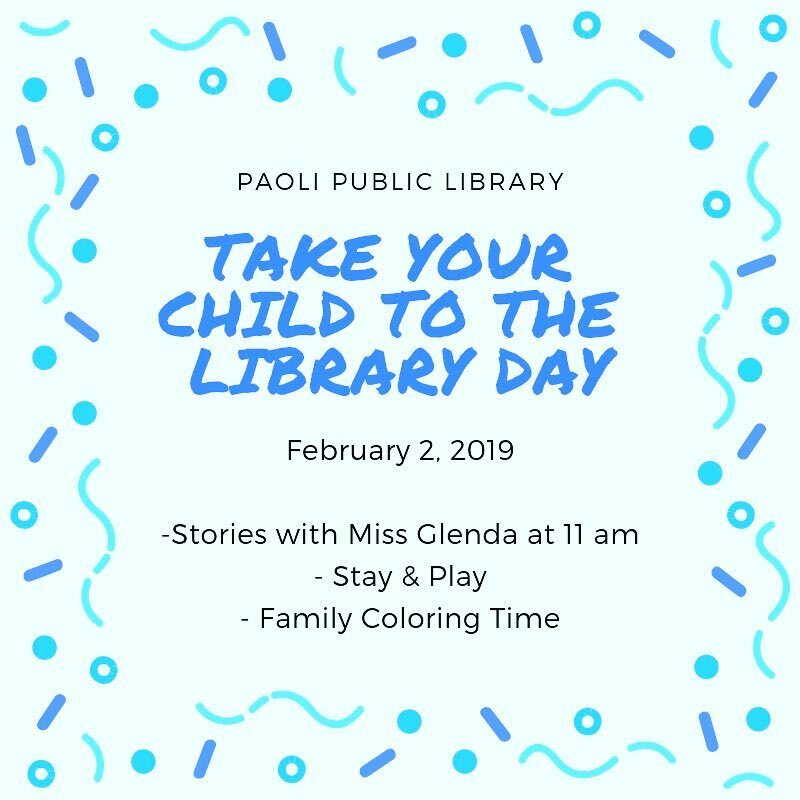 We will have Stories with Miss Glenda at 11 am. We encourage you to stay and play with the educational toys we have. We also have materials your family can color and make! We hope to see you here!